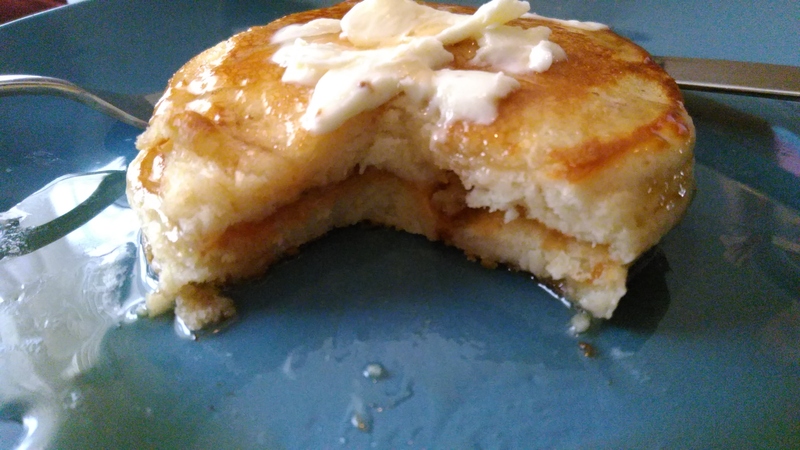 Buttermilk Pancakes – IHOP Copycat – What's for Dinner Moms? When we get towards the end of the month and pay-day I am trying to stretch out all the things we have in the pantry and cupboards for just a few more days. That is why I always buy an extra bag or two of sugar and flour during the month so that I can stretch our food budget. Homemade baked goods, sauces and gravies can make an ordinary meal seem a bit more special. As my kids were digging through the freezer for another bag of pork chops and ground beef I decided I didn’t want either of those. We are out of pasta and I don’t feel like going to the store. Pancakes! Super simple and I haven’t taught my son how to make them yet. This was a perfect start. My son learned quite a bit about cooking just by making pancakes. They look so simple but there really is an art to making them well. He didn’t completely master them on his first try but he is off to a good start. Be careful not to over mix the batter. Mix the wet ingredients into the dry with a minimal amount of mixing. Your pancakes will be dense and heavy if you over mix. Some lumps are okay. Once the batter is mixed let it sit for 5-10 minutes to raise a bit. Just this one step alone can make your pancakes light and fluffy. Wait until your griddle is hot to add the butter. Don’t let the griddle get too hot or the inside of the pancakes will be raw and the inside will burn. Start at Medium heat and adjust the temperature down as the griddle heats up to keep it hot but not too hot. In a large bowl mix all dry ingredients until completely mixed. In a second bowl whisk eggs and buttermilk together. Add melted butter and stir together. Mix the wet ingredients into the dry mixing just enough to fully incorporate. Cook on a griddle greased with melted butter over medium heat to start and slowly turn heat down to keep griddle hot but not too hot. Use 1/4 to 1/3 cups to portion out batter. 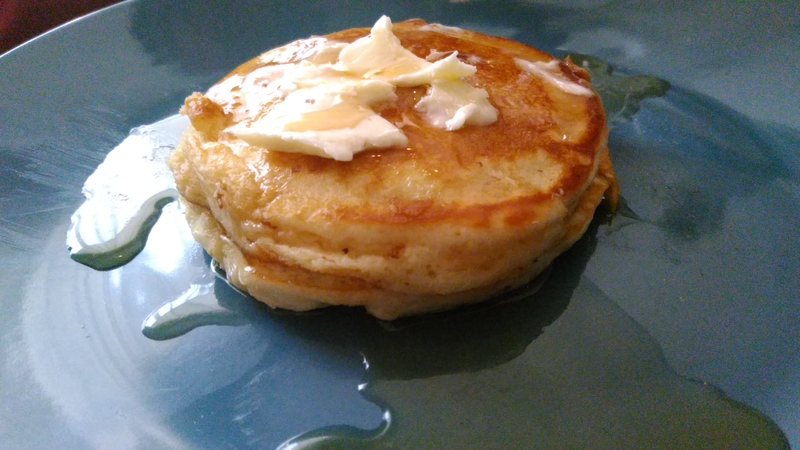 Flip pancakes when browned on bottom and bubbly on top. Try to only flip once each side for fluffy pancakes. Keep warm in 170 degree oven until ready to serve. A great recipe, Marci and I really appreciate those tips. Mine are a bit heavy and it might be over-mixing. Thank you! That definitely was my son’s problem. He thought he had to whisk it smooth. 🙂 Must be the season! Thank you! I do too! As a kid they were my least favorite breakfast item but that has changed. Thanks, Lynn! Hope you are having a great day. I am Marci! You too! I love pancakes! I started making them when I was 4 years old. I always had the raw center problem. My mom was a chef but she didn’t make pancakes. When I was 6, she took me to the restaurant she worked at and the chef who made the pancakes gave me a lesson and showed me how to cook them perfectly! I haven’t had a raw center since that day! How very awesome of your mom to do that!